I’m normally a fan of the matte look, but this permanent winter weather has been turning my skin duller than a day in November and I’ve been looking for a foundation with a bit of glowwww to it. Glow is a dangerous word. Firstly it reminds me of that awful J-Lo perfume which was THE scent for any wannabe Regina George at school. Secondly – glow can be give that dewy look, but also … that EWWY look. Too much glow in a product can leads to that my arch nemesis Mr Shine popping up uninvited in photos and making skin look oily rather than dewy. So I’ve had a hunt around for a foundation that was dewy, not ewwy. And I think I found The One!! 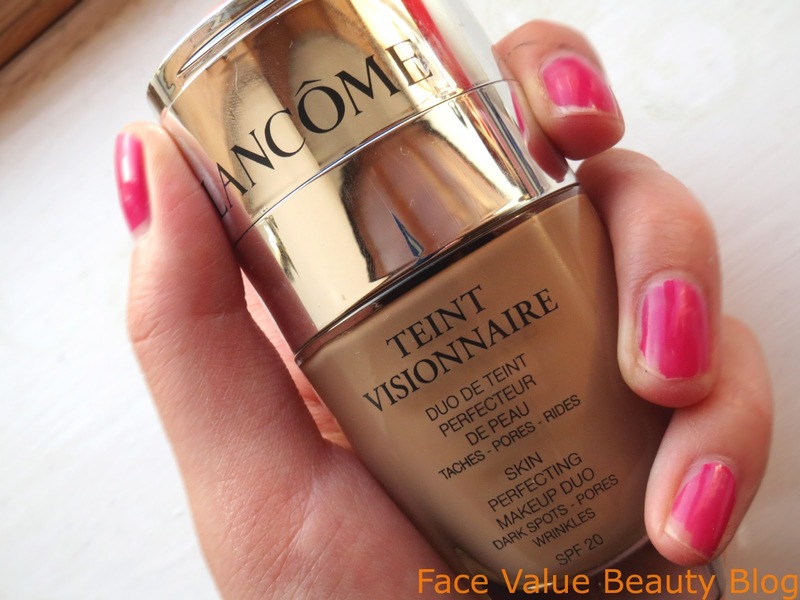 The Lancome Teint Visionnaire Skin Perfecting Makeup Duo was developed following the success of the award-winning Lancome Visionnaire (LR2412) serum which was designed to even out skin tone, smooth skin texture and minimise pores. So the geniuses (genie-iii?) at Lancome have merged the special LR2412 molecule from the serum into a liquid foundation, along with a matching concealer. Lancome advise that you pat on the ‘High Coverage Corrector’ first to cover up any dark circles or discolouration before buffing the foundation in circles into your skin. The Corrector can then be patted on top of any blemishes for extra coverage. 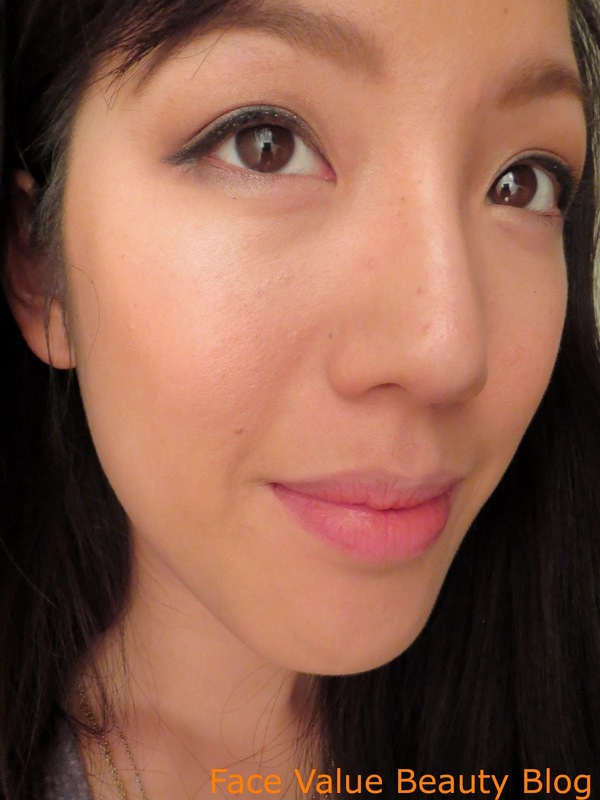 The result is a really flawless look without looking too caked on and not too shiny! The matching concealer works beautifully with the foundation to help cover imperfections. Here, I’ve used the High Coverage Corrector around the nose, on the chin and under the eye. The coverage is great for uneven skin like mine and can be built up for ultimate complexion perfection. NB I’ve noticed the colour does get slightly darker the more you build up though. It looks darker in the bottle than it does on the face. 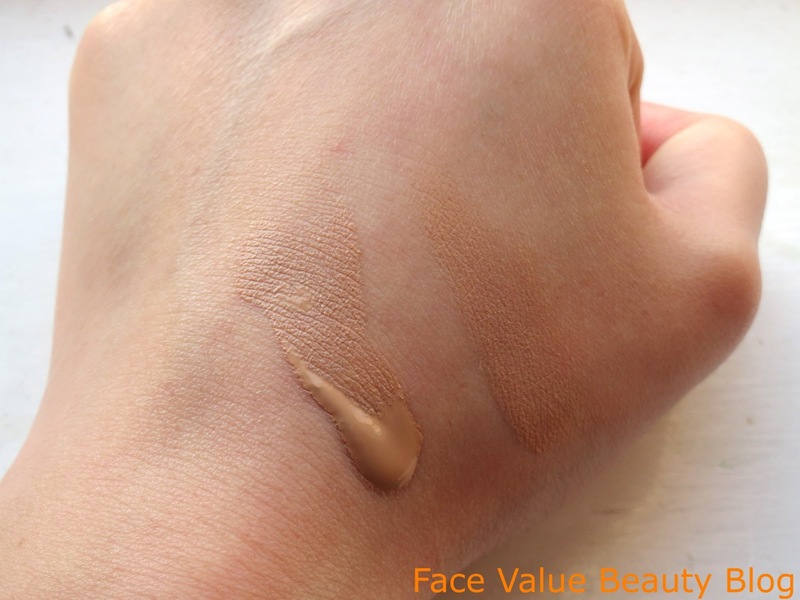 I’m using shade 035 Beige Dore which looks insanely tanned on my hand – but comes out fine on my face. Lancome advise to take a small amount and warm on the back of your hand, but I find that method actually wastes lots of the concealer as most of it stays on your hand! FaceValue Tip: Hold your finger on the concealer for a couple of seconds to warm it before scooping out. I use my ring finger and then pat directly on to the under-eye area. The High Coverage Concealer is lush, andwith a mirror! I loveee that the high coverage concealer, sorry CORRECTOR is in the lid and with a handy mirror too! It would have been nice if the foundation came with an internal lid too so you could take the Corrector out with you for on-the-go top ups. Although I’ve not been using it long enough to spy any visible difference, I also like the idea that the serum inside it is doing good for my skin at the same time. I’m not quite needing anti-ageing yet, but knowing that the foundation and corrector are infused with the serum makes me feel good. Is it all good though? My one gripe is with the lid. Its easy to take off yes, but putting it back on? You need to turn the lid so that its exactly aligned with the nozzle before you put it back on, its a bit awkward. Minor – but I wouldn’t expect a basic design function like this to have got through the net. BUT MAYBE I’M JUST STHUPID. I wish it was a bit cheaper. 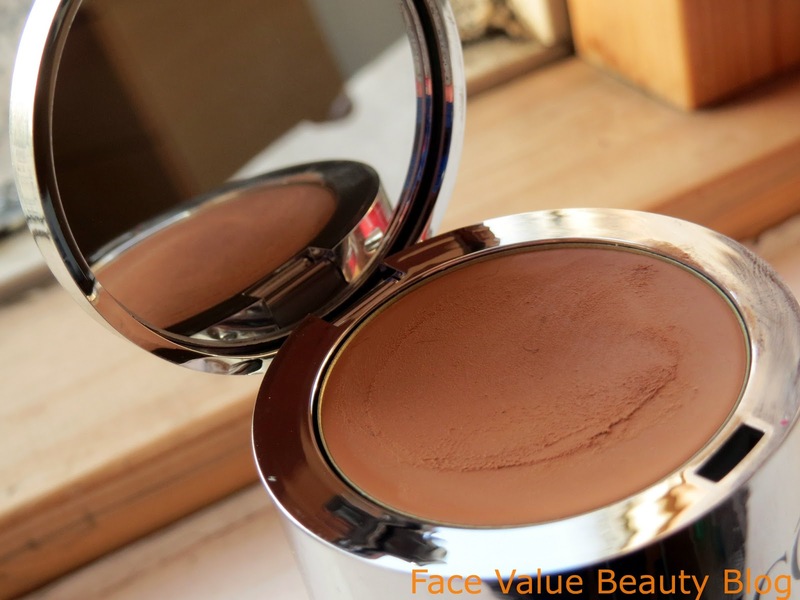 It’s retailing at £36 but I bought it at duty free for £30 – my foundation ceiling price! It seems steep – this is the most expensive foundation I’ve bought – and I get a little rush of luxury every time I use it. I’m lame, but whateverrr. Like most high-end beauty counters, Lancome do a great colour matching service to try-before-you-buy. I think I went to the counter for 3 makeovers before I decided on the colour I wanted! So what do you think? What foundation do you use? Do you get that little rush when you use your most expensive product like me? Previous Post Gotta be delicious with Got2b Oil-licious! seems a nice product .. The shade is also perfect ..